Challenge yourself by setting the speed of the clock hands. Choose medium, hard, or really hard! 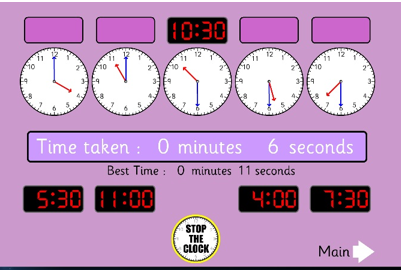 Time Teller: Read the clock, then click on the correct digital time.